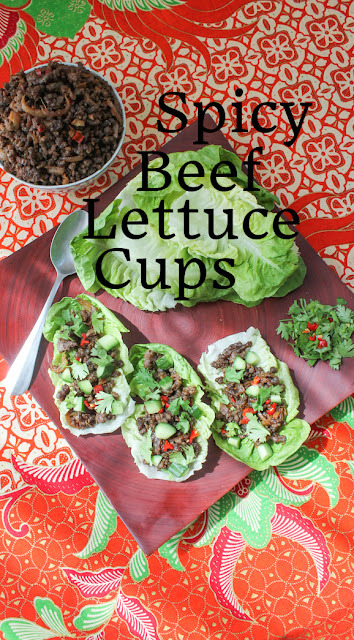 Spicy beef lettuce cups make a great main course but they’d also be fun as appetizers. Put the lettuce leaves and spicy beef in the middle of the party table and let family and friends help themselves. 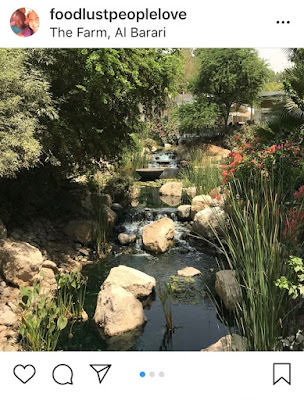 A few weeks ago, my husband and I went out to lunch at a beautiful restaurant in the middle of a manmade oasis just off one of the main highways that crisscross Dubai. 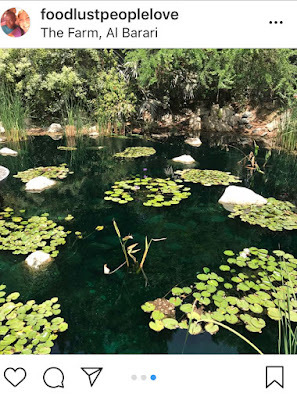 Al Barari is a verdant refuge from the dusty sandpit that surrounds it, with streams, lily ponds and waterfalls. Its restaurant, called The Farm, has a wide variety of choices in the menu, a mix of western and Asian dishes, with a little Middle Eastern thrown in as well. I ordered the spicy Thai beef salad, which frankly, wasn’t very salad-like at all. It was pretty much all spicy meat with a few random slices of zucchini, but it gave me the idea for this dish. I would have liked some crunchy lettuce leaves to eat with it. This was a quick, last minute dinner. 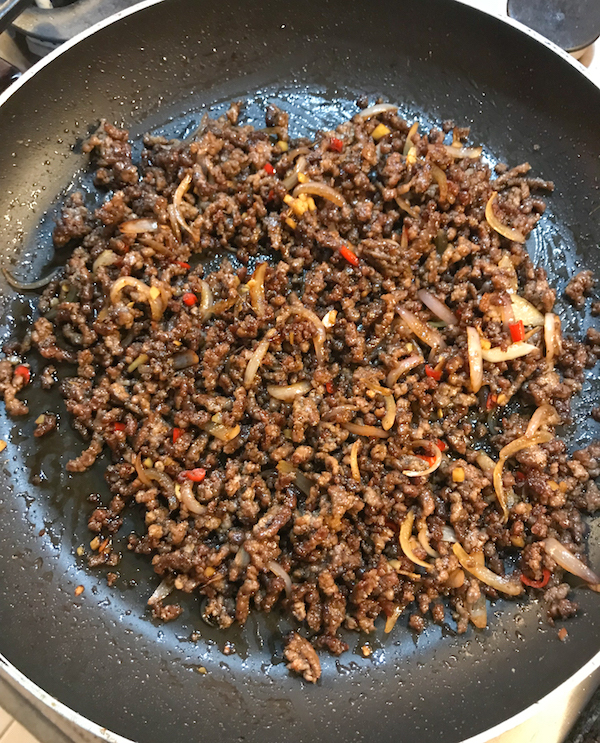 Because I was hungry and didn’t have time for marinating strips of beef, I used ground beef. Worked beautifully! If your pan isn’t big enough for my method, feel free to tip the crispy cooked beef into a bowl before cooking the ginger, garlic, chili peppers, and then the onions. Add it back when those are done. *Save the smaller leaves and the heart of the lettuce for a salad. 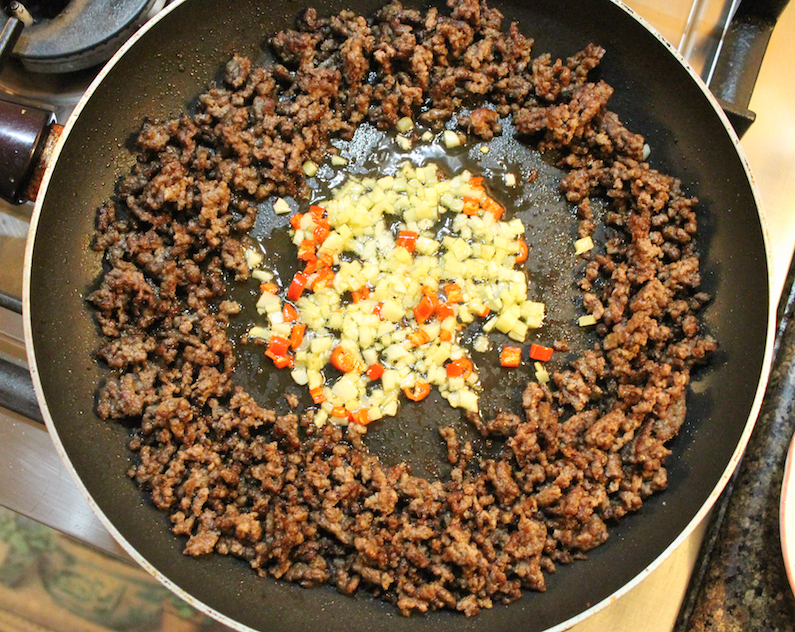 Once the beef is crispy, push it to the sides of the pan and turn the heat down to medium low. Add the ginger, garlic and chili peppers to the middle of the pan. Again, if your beef hasn’t rendered much or any fat, drizzle in a little more olive oil. Sauté the ginger, garlic and peppers until they soften. Mix them in with the beef and then push it back out to the sides. Add in the onion into the middle and turn the heat up slightly. Cook the onions for just a minute or two, stirring well. You want them slightly cooked but still a bit crunchy. Mix them in with the beef. 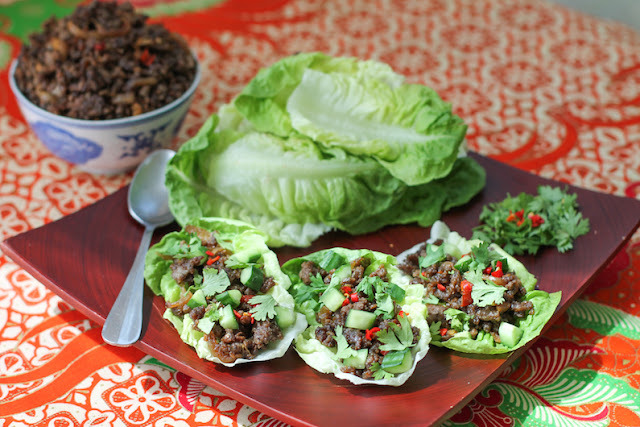 Remove the pan from the heat and add in the soy sauce, fish sauce and vinegar. Stir well to combine. Leave the beef to cool for about 15-20 minutes. You want it slightly warm but not hot enough to immediately wilt the lettuce. 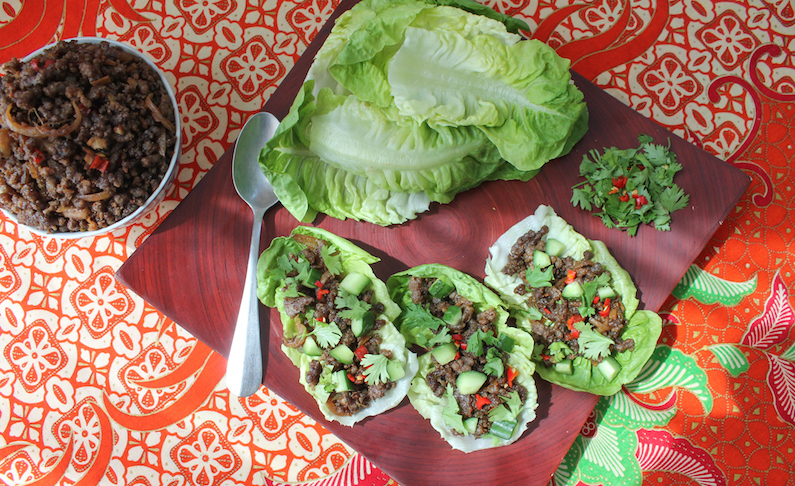 To serve, spoon the spicy beef into the lettuce leaves. 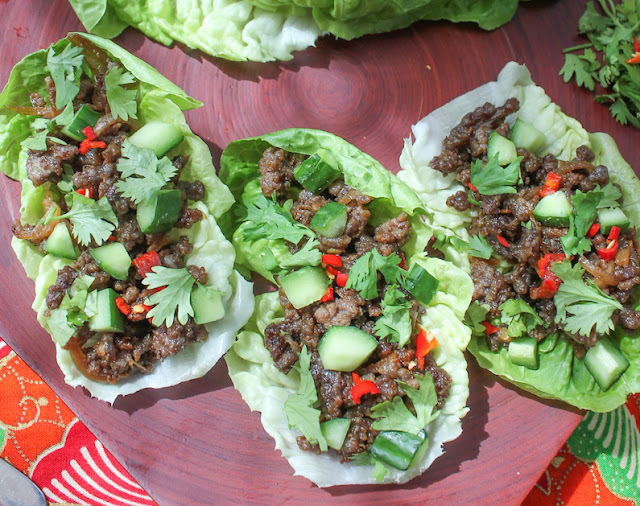 Top with cucumber bits and some chopped cilantro. 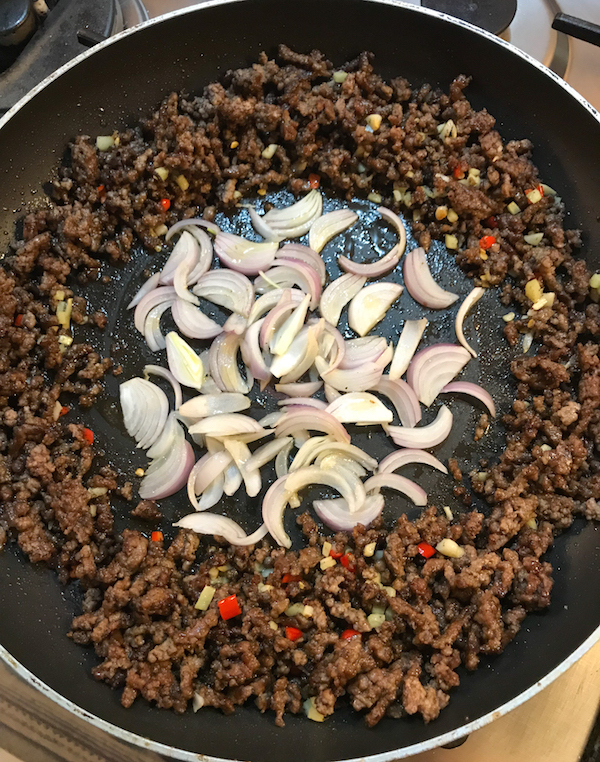 Add more minced chili, if desired. I filled mine too full at first and they were a challenge to eat without spilling. A couple of generous tablespoons per lettuce leaf will do nicely. The very next day, as I was eating the leftovers, I also added avocado on top. Awesome!